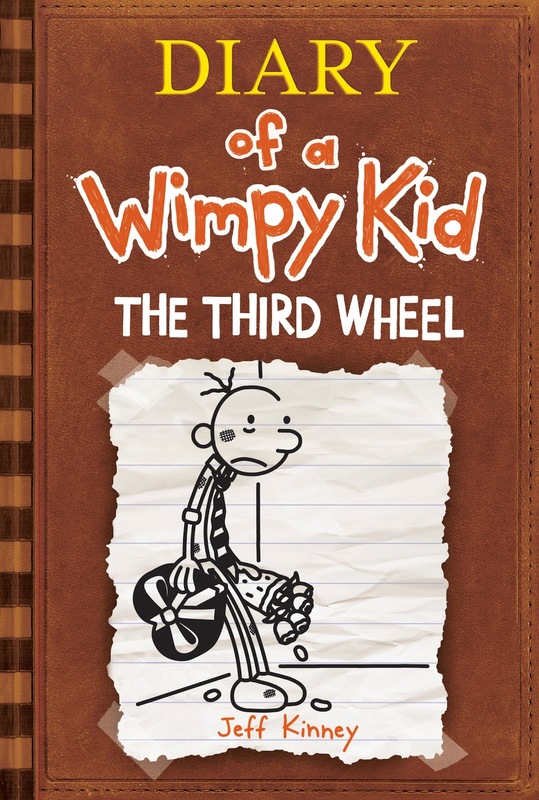 Diary of a Wimpy Kid: The Third Wheel is like a stream of consciousness coming out of a kid's mind and it is very, very funny. If you haven't come across the books previously, Jeff Kinney's massively successful series is based around Greg Heffley and his life at home and at school. In The Third Wheel there is a Valentine's Day dance at Greg's school and his efforts to find a girl to ask are painful and amusing all at the same time. Written in the form of a diary (obviously) the reader is privy to all of Greg's ideas and plans, plus what actually happens. Part of the joy of this book is being able to see how Greg's carefully worked out plans will go terribly wrong before they do. The books are so approachable in their appearance - the text font is in the style of very clear hand writing and there are multiple comic illustrations on each page. The comics are particularly hilarious (in a painful, thank goodness I'm not a kid any more kind of way). I can see why kids around the world love the series. It's close enough to home that they would relate to it and it definitely has the 'well at least I'm not that much of an idiot' factor.